View the book trailer for this book. Early-style Hardanger is not often seen outside of Norway, but is quite distinct from contemporary Hardanger. This historical style of embroidery has traditionally been used on the women’s clothing in the Hardangerfjord region, and was designed to emulate needle-made lace of the 1600s and 1700s. To research for "Early-Style Hardanger", Yvette Stanton travelled to Norway, studying historical examples of Hardanger at the Norsk Folkemuseum and the Hardanger Folkemuseum. In Bergen, she joined in the celebration of Syttende Mai (17th May) or Norwegian Constitution Day. On this occasion, many Norwegians dress in bunad, or folk costume, to enjoy the festivities. Because of this, Yvette also saw many examples of early-style Hardanger in current use on traditional-style clothing. This book inspires you to create traditional-style Norwegian whitework embroidery, and demonstrates how to do it in bite-size portions, thereby allowing you to feel the satisfaction and sense of accomplishment of making your own beautiful embroideries. We also stock the Hardanger embroidery supplies required to make this embroidery. Distinguish what makes early-style Hardanger different from contemporary Hardanger. Understand how to correctly and accurately work the stitches and techniques of this traditional-style embroidery. Both left- and right-handed instructions are included. Learn to avoid problems, and have the self-assurance to fix any mistakes you make. Have confidence to use your new skills to create ten attractive early-style Hardanger embroidery projects. 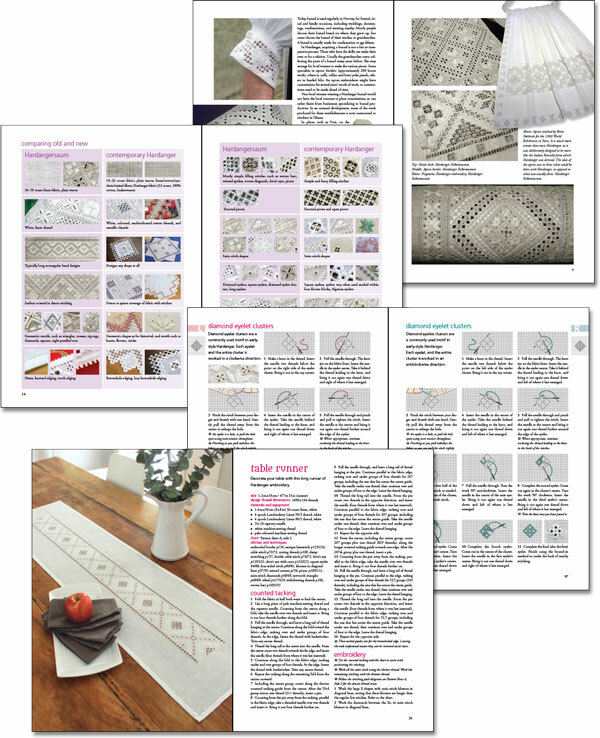 Early-Style Hardanger has 160 full colour pages and three pattern sheets. Introductory information includes contextual information about where the embroidery comes from, comparisons between contemporary and early-style Hardanger, photographs of historical examples, and information about the motifs, equipment and materials used. Whether you're an absolute beginner or are wanting more of a challenge, there is something here for you. The Stitches and techniques chapter is packed with detailed stitch instructions. Each stitch is taught in fully diagrammed, step-by-step format, with instructions for both left- and right-handed embroiderers. Clear diagrams and or photographs to help you see exactly how to work the stitch or technique, and concise written instructions explain each step. As well as including some stitches that are well loved by Hardanger stitchers, this book reintroduces old stitches that have fallen out of regular usage outside of Norway. A glossary, appendix and full index complete the book. 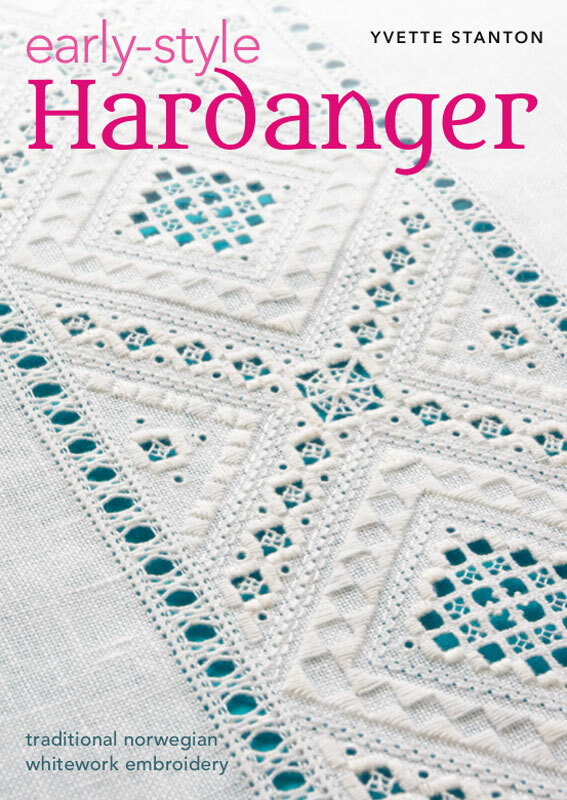 Early-Style Hardanger provides all the information you need to understand the difference between contemporary and early-style Hardanger. Its clear instructions with hundreds of helpful diagrams mean that you will be able to take yourself through a thorough course on this style of embroidery, within the comfort of your own home. Your new skills enable you to make your own examples of this style of embroidery, using the projects included in the book. You will refer to it again and again. Yvette Stanton is a respected needlework teacher and author of needlework books. She particularly loves whitework and playing with embroidery stitches. 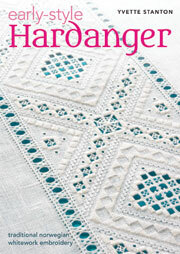 Early-Style Hardanger is Yvette's eighth book, and her second on Hardanger embroidery. For some number of years, Yvette had wanted to do a book on early-style or traditional Hardanger embroidery, as she had noted how different it was from much of the Hardanger that is being worked contemporarily. Since secondary school, she had been fascinated by Norway, having had a Norwegian penpal named Anniken, during that period. To research the book, Yvette finally fufilled her dream of visiting Norway. She would like to acknowledge the kind and knowledgable assistance of Agnete Sivertsen, Director of Hardanger Folk Museum during her research. Purchase your copy of Early-Style Hardanger by Yvette Stanton, today. ﻿With Early-Style Hardanger: Traditional Norwegian Whitework Embroidery you will be able to make your own beautiful early-style Hardanger heirlooms. Purchase your copy today! I just want to buy the book!